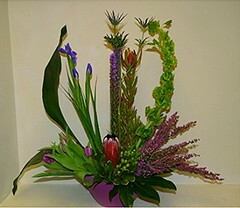 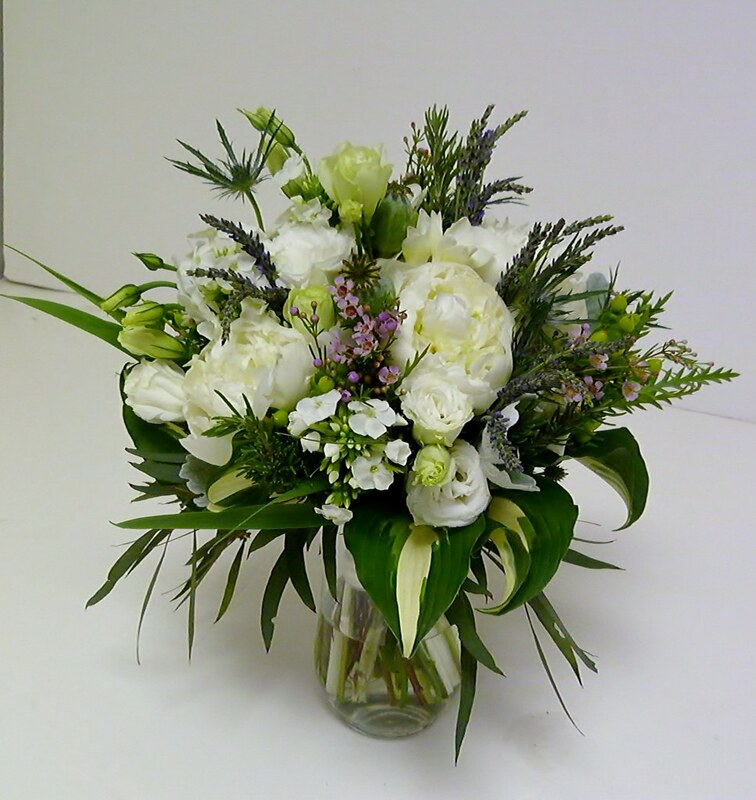 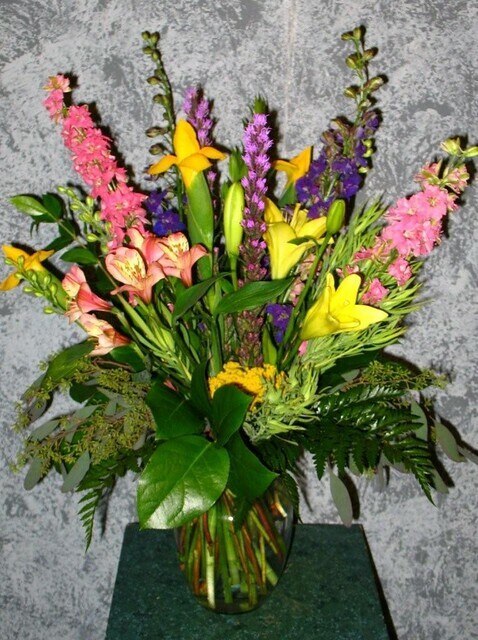 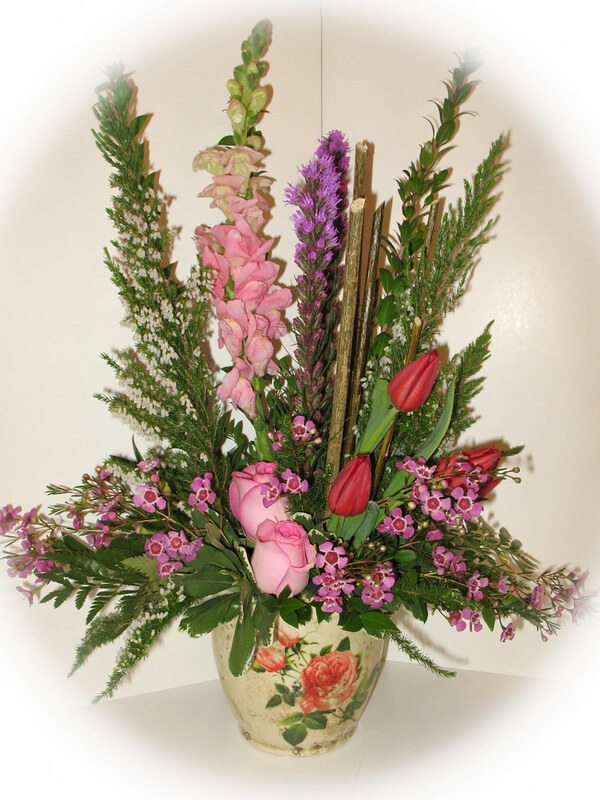 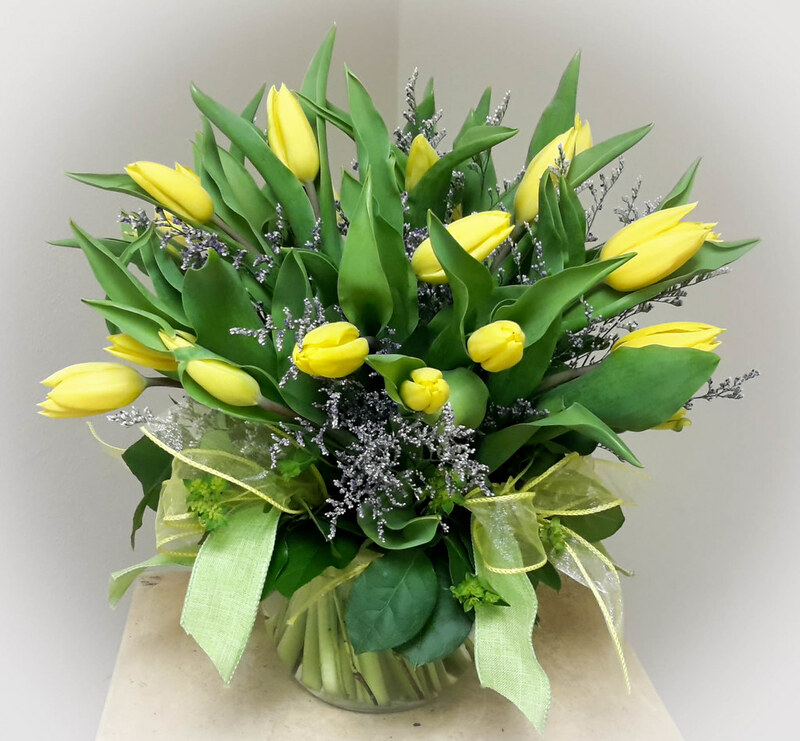 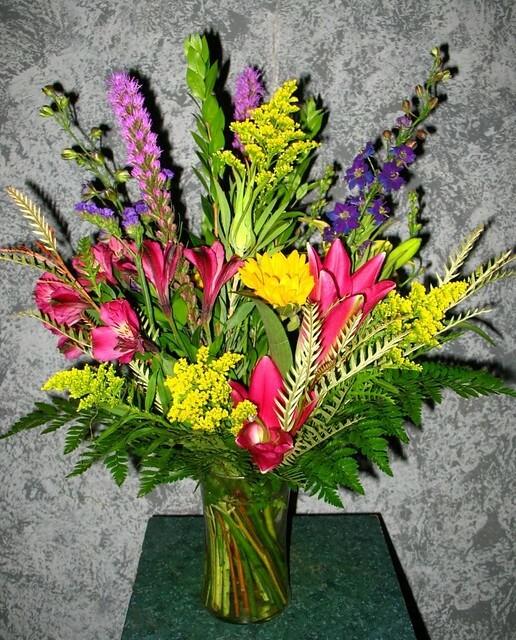 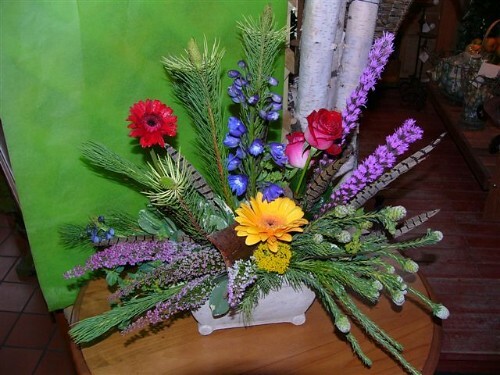 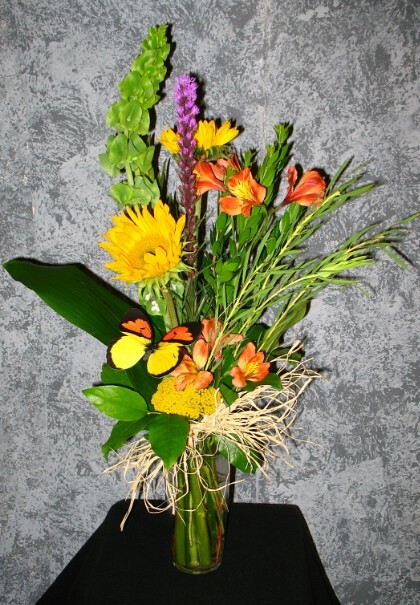 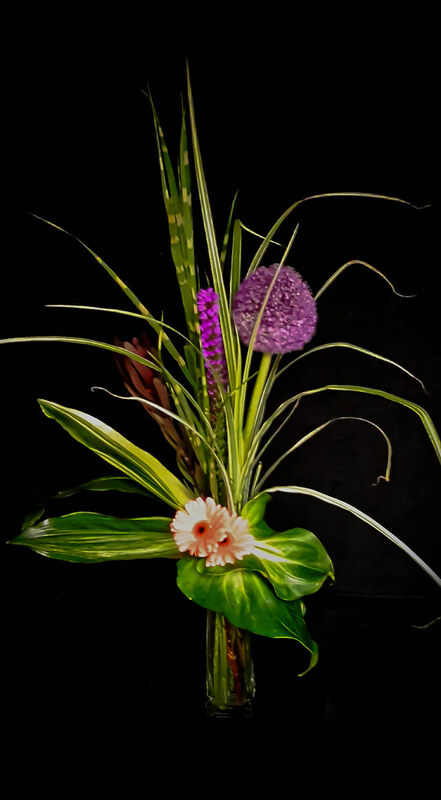 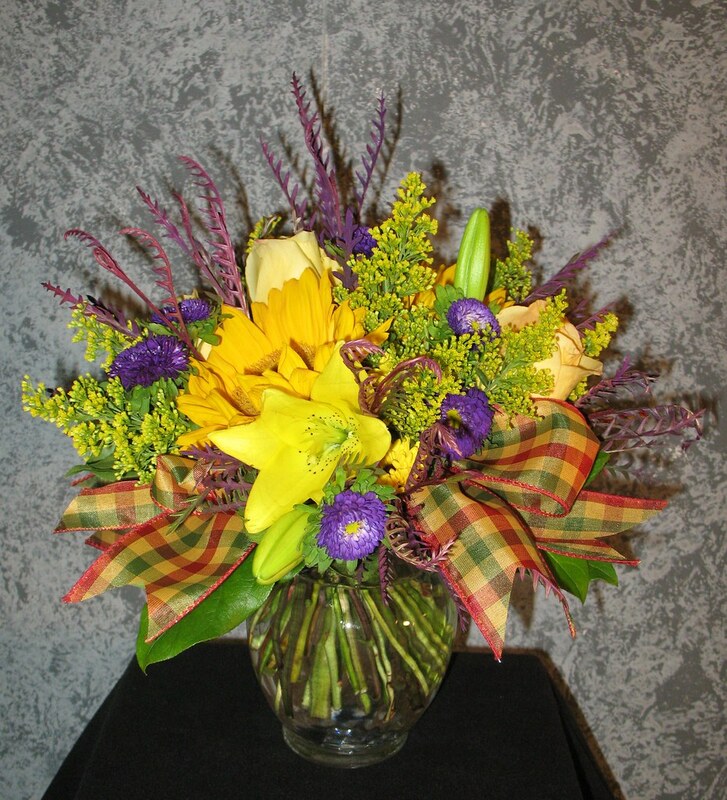 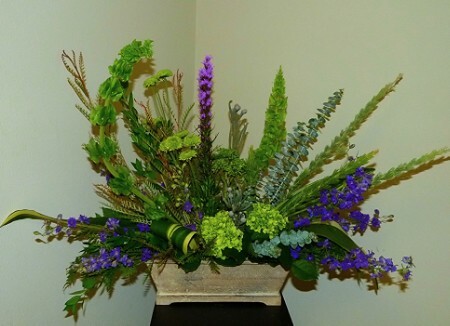 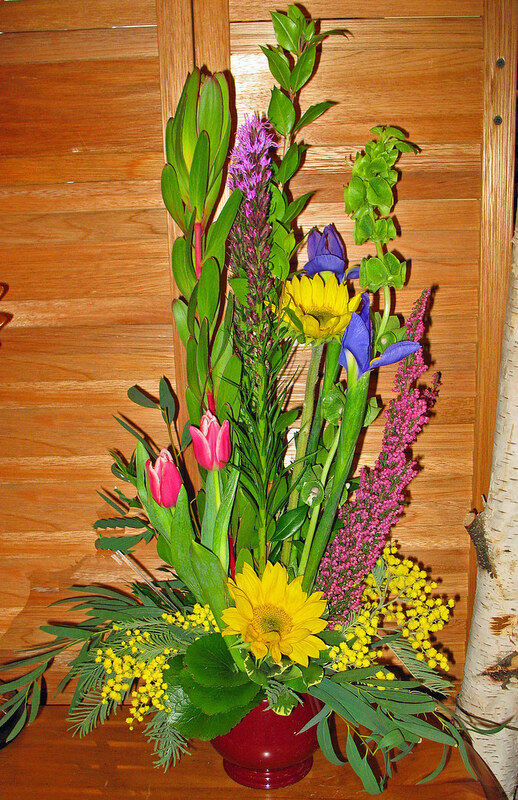 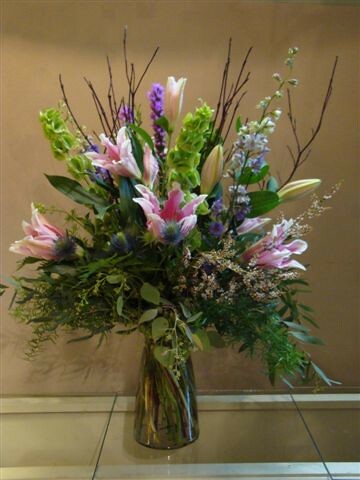 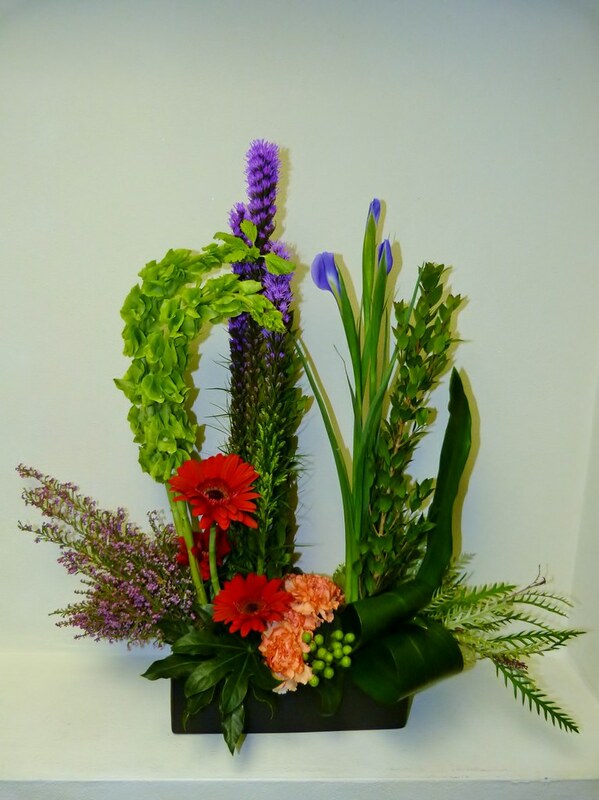 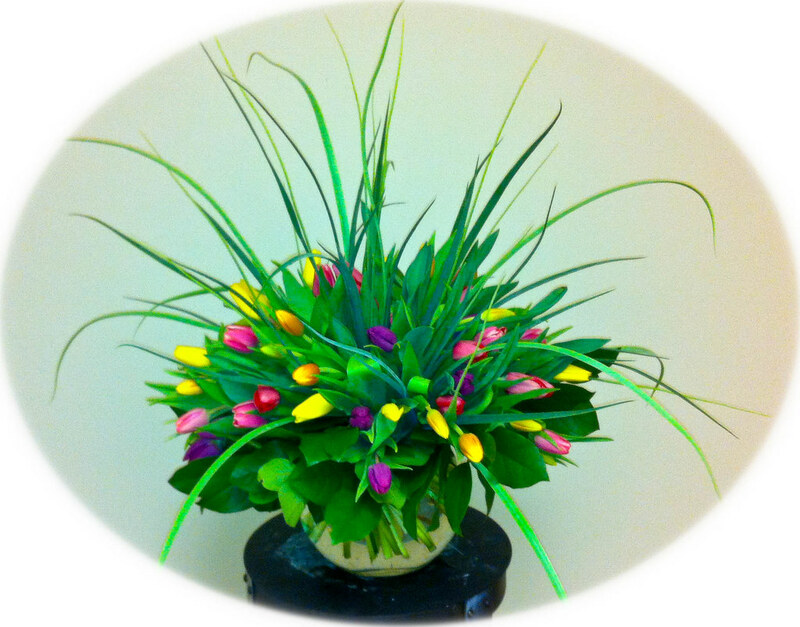 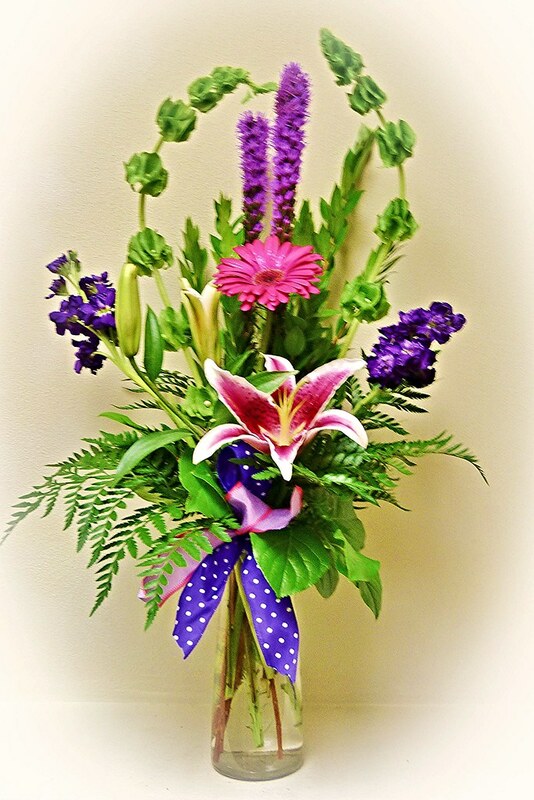 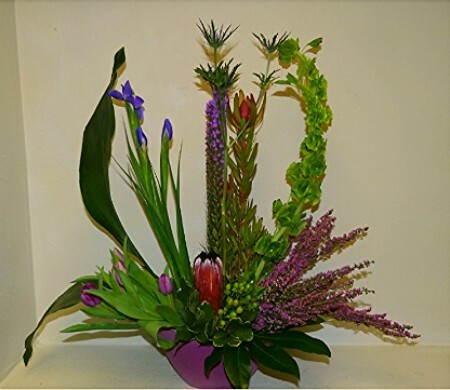 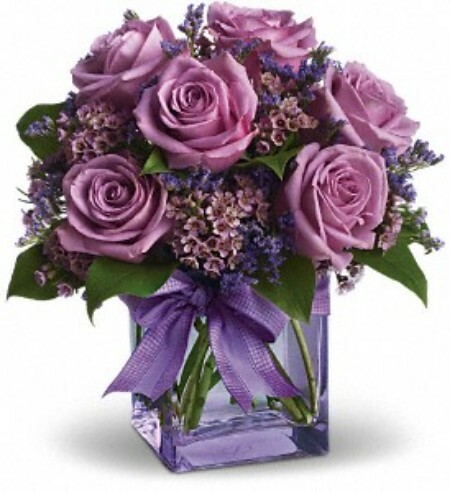 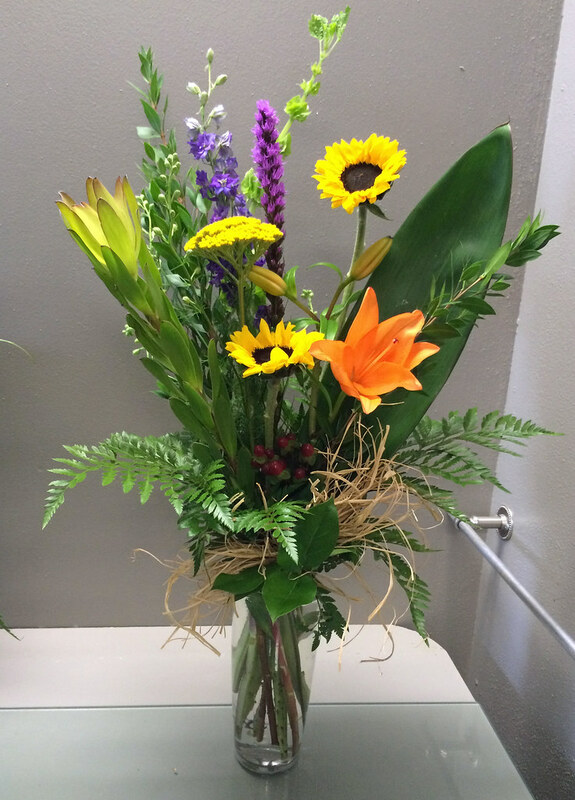 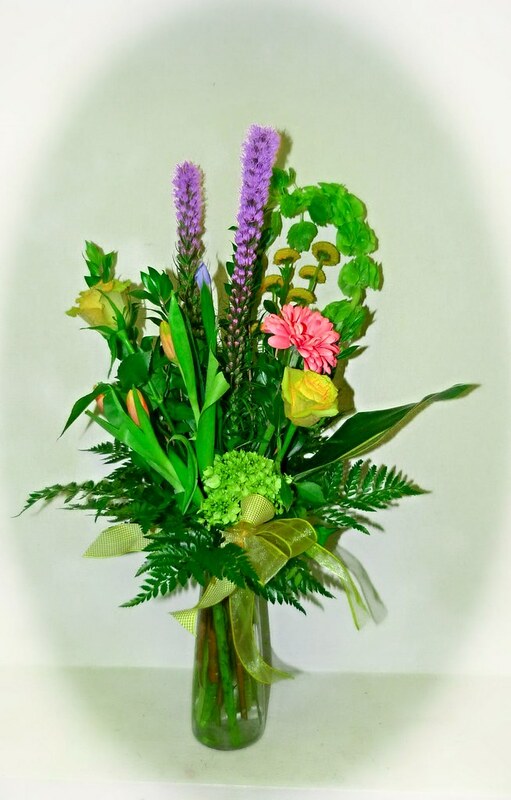 #42ED $75 to Tulips, Roses, Snap dragons, and Liatris make up this lovely table piece. 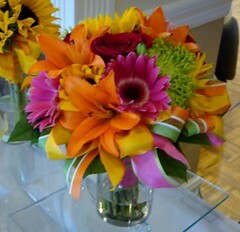 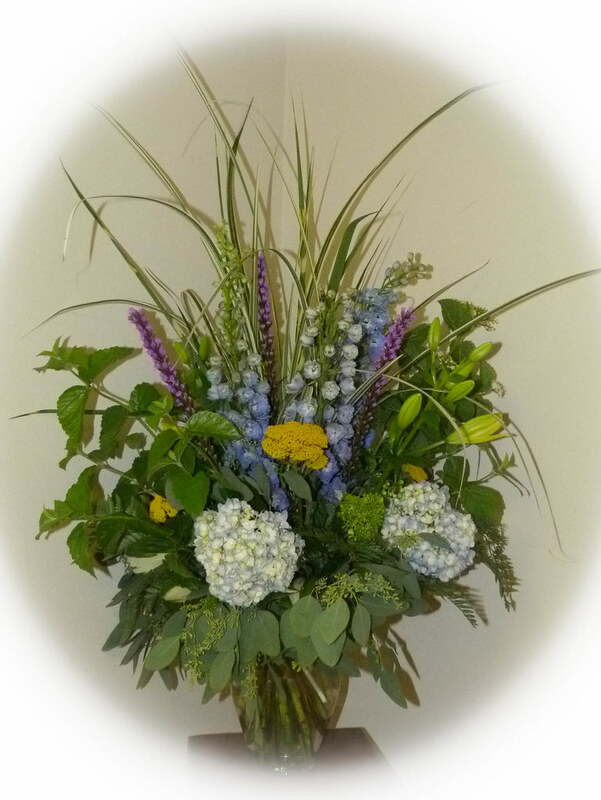 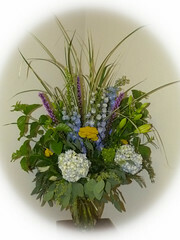 #43 $50 Gerbera daisies, Larkspur, Cushion mums and Heather is adorned with a butterfly. 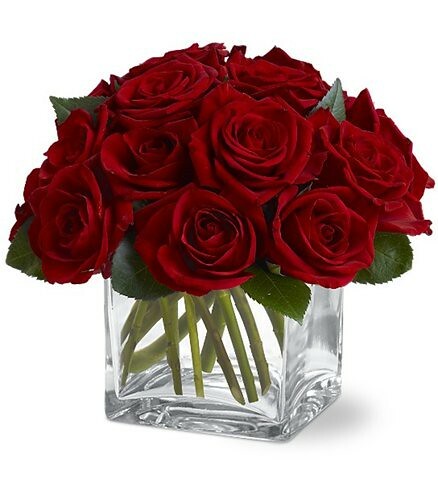 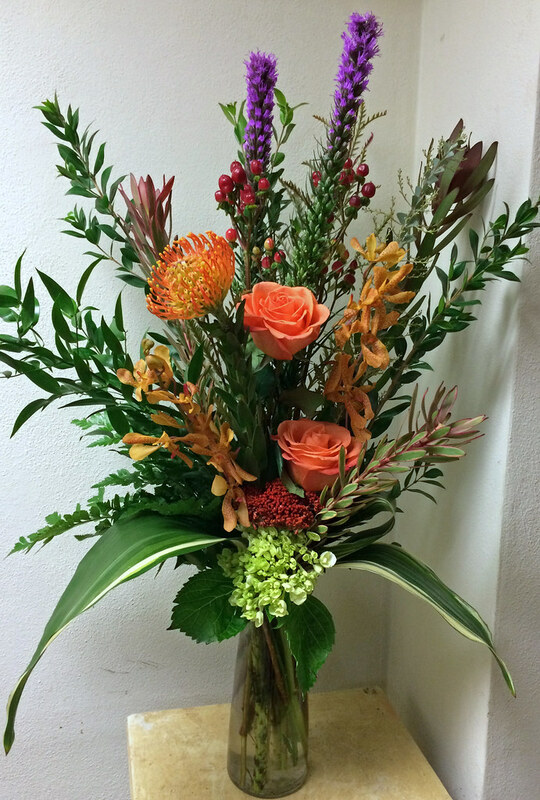 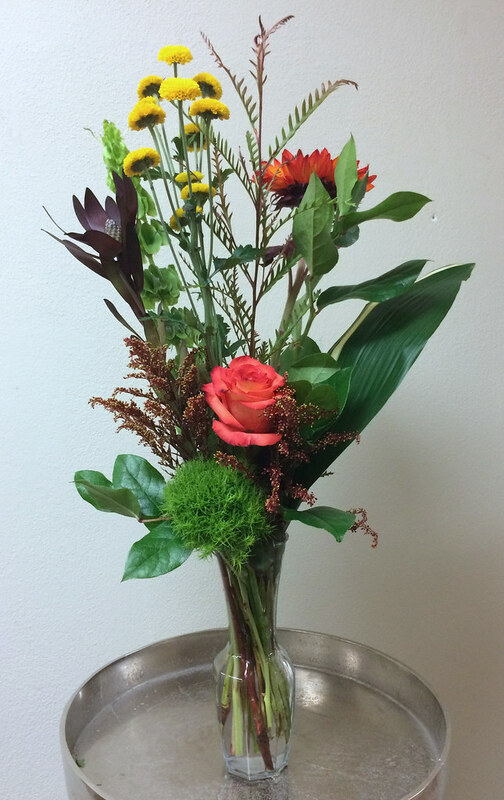 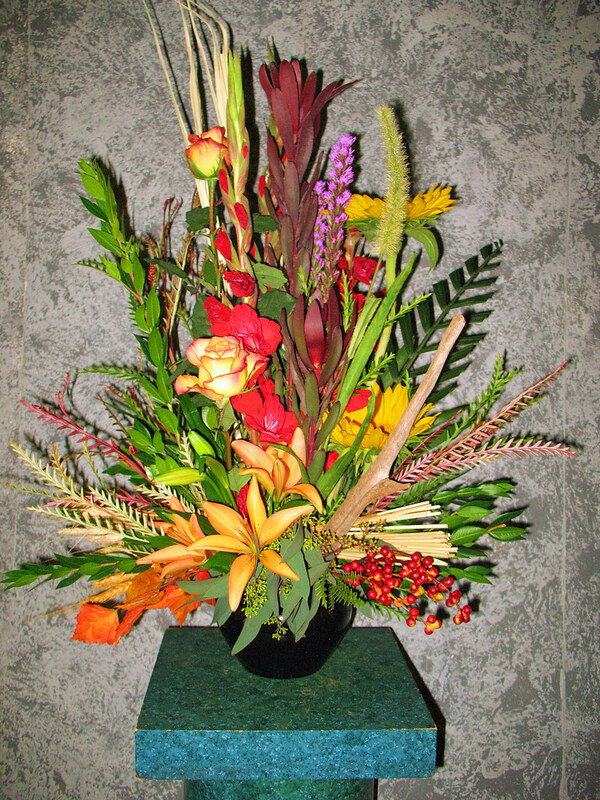 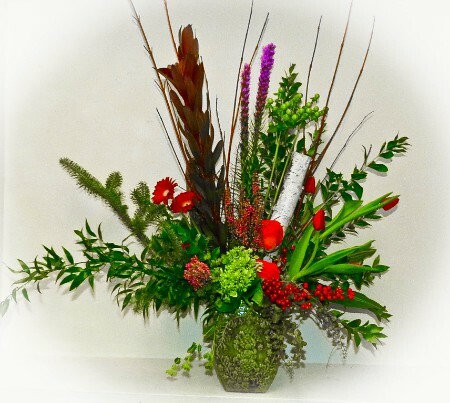 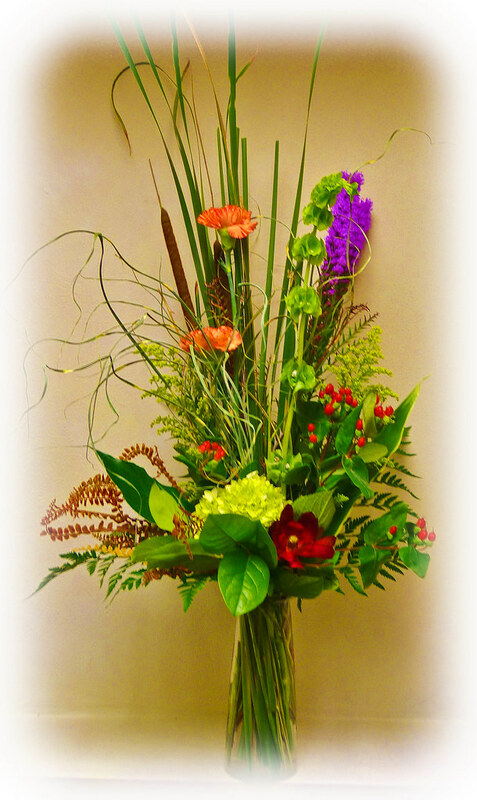 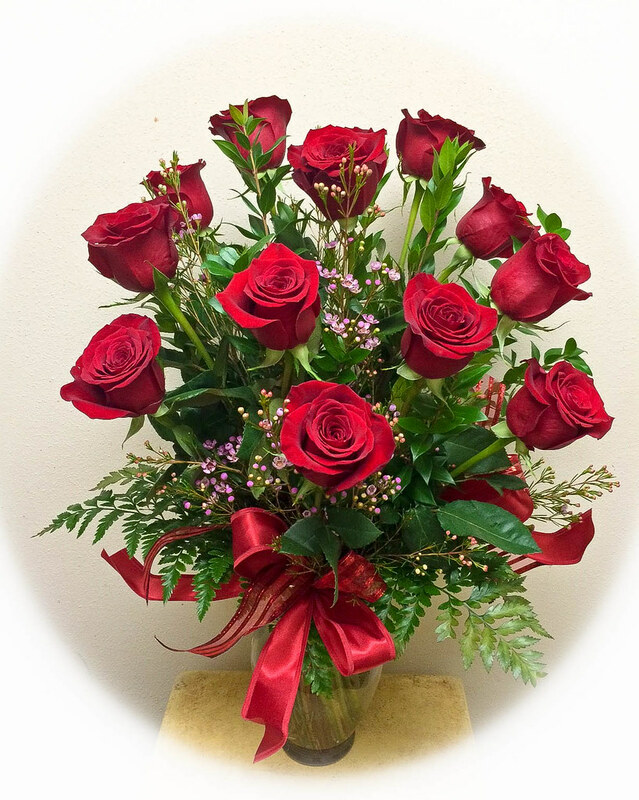 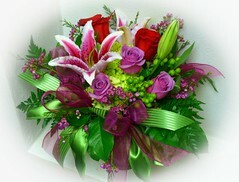 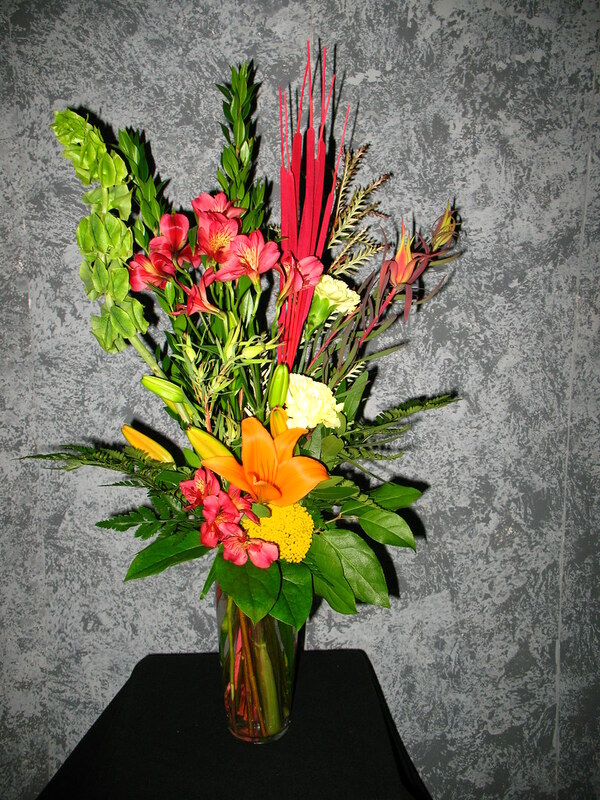 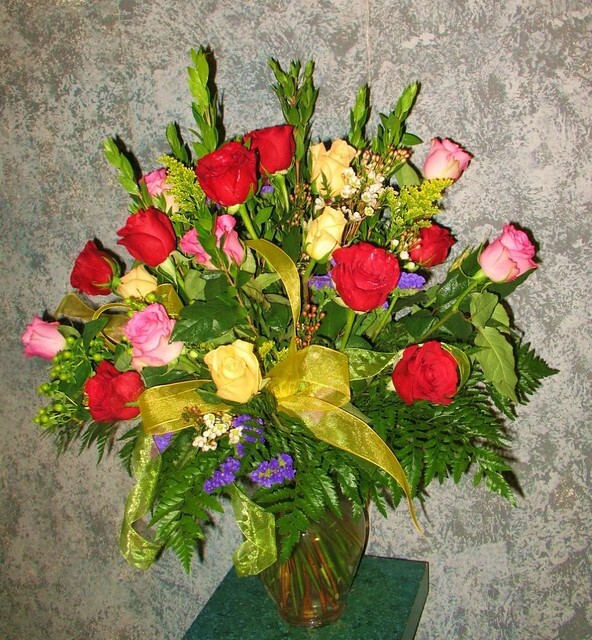 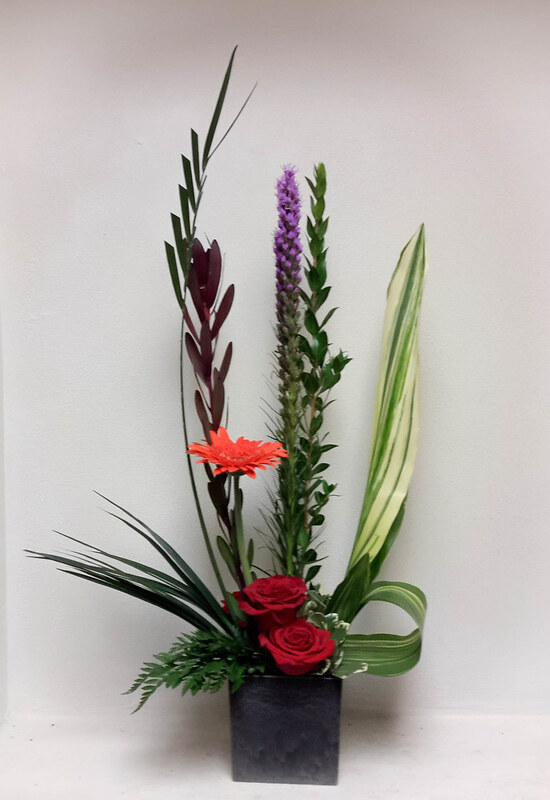 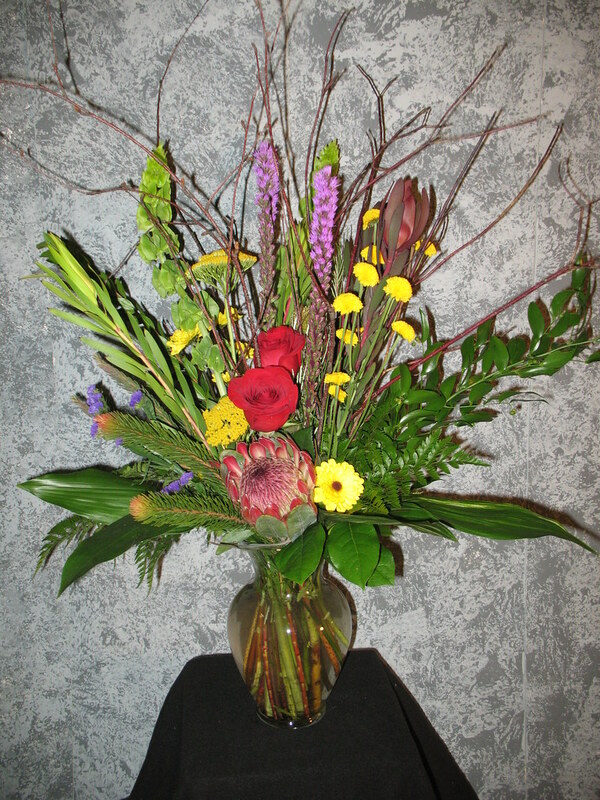 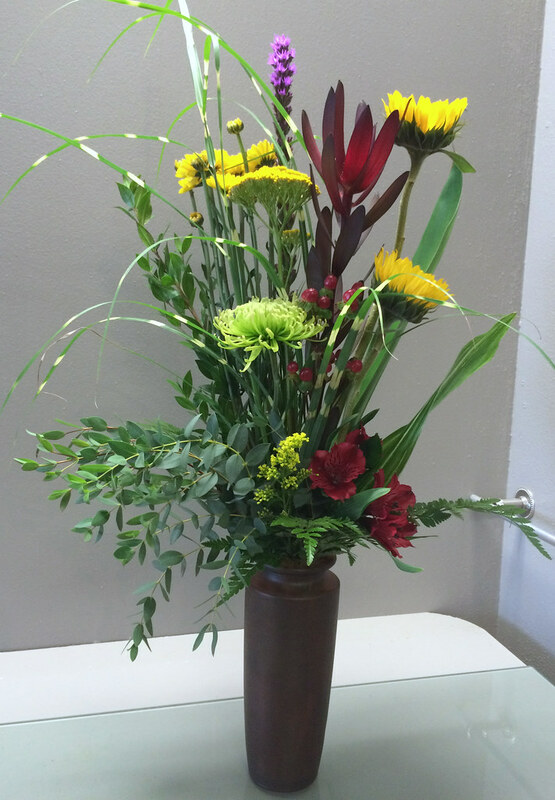 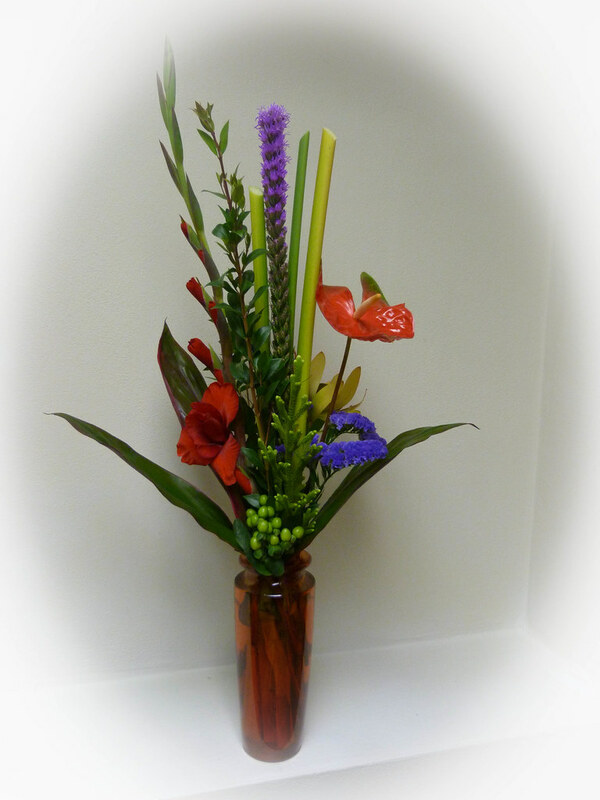 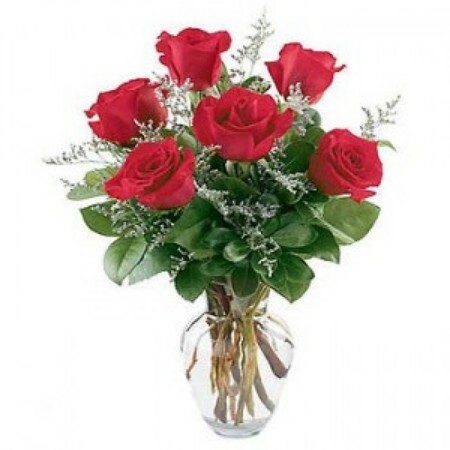 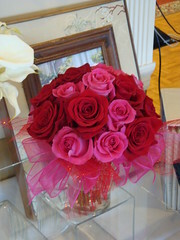 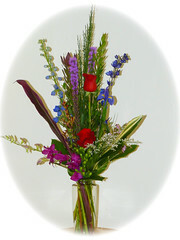 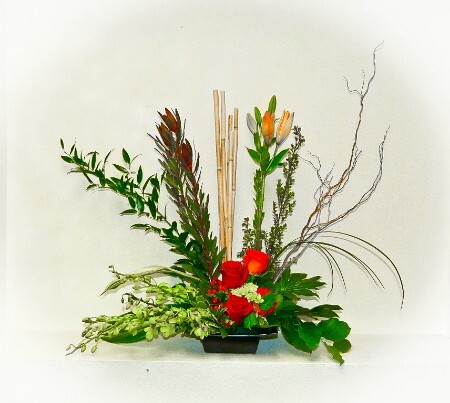 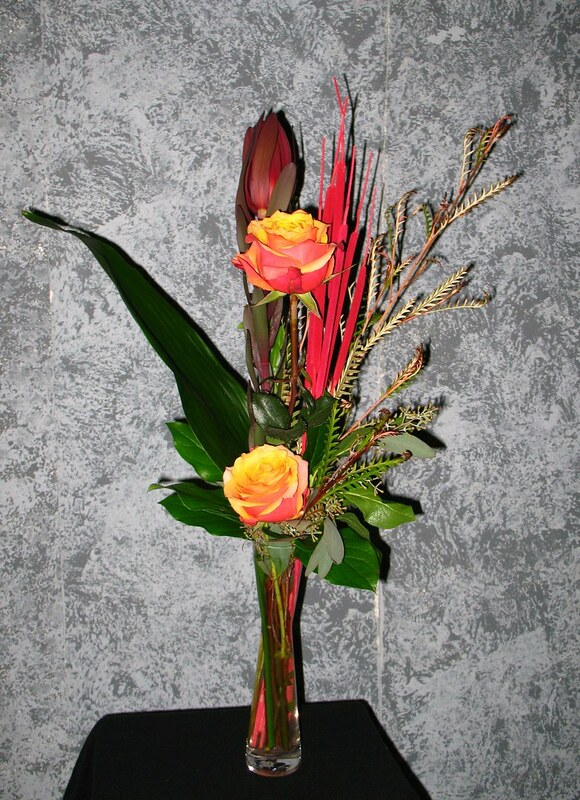 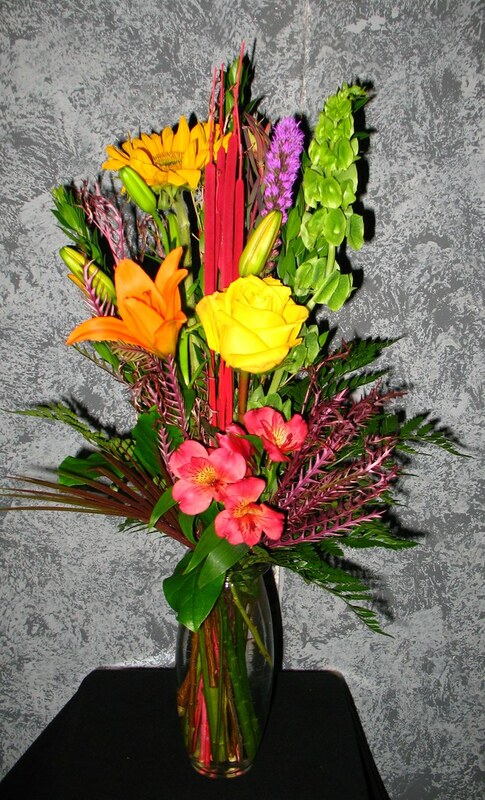 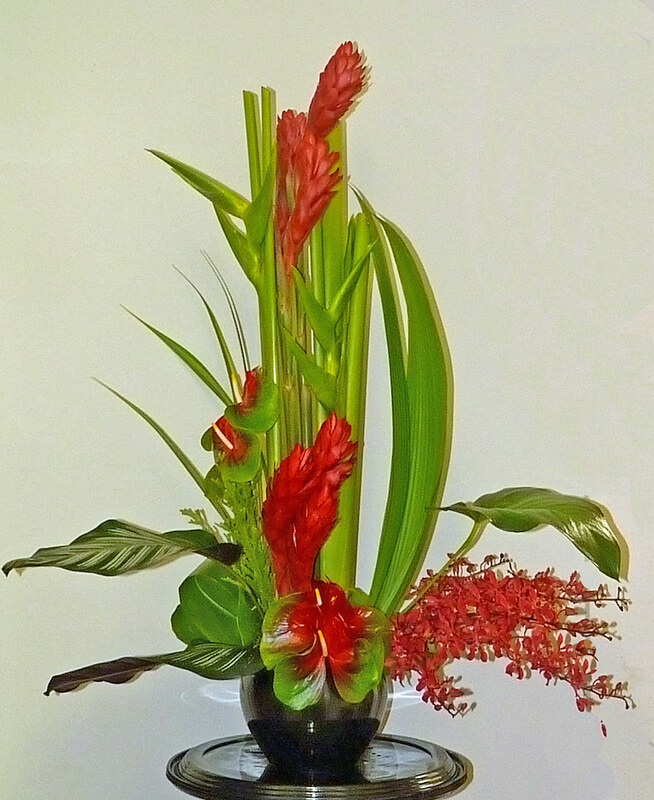 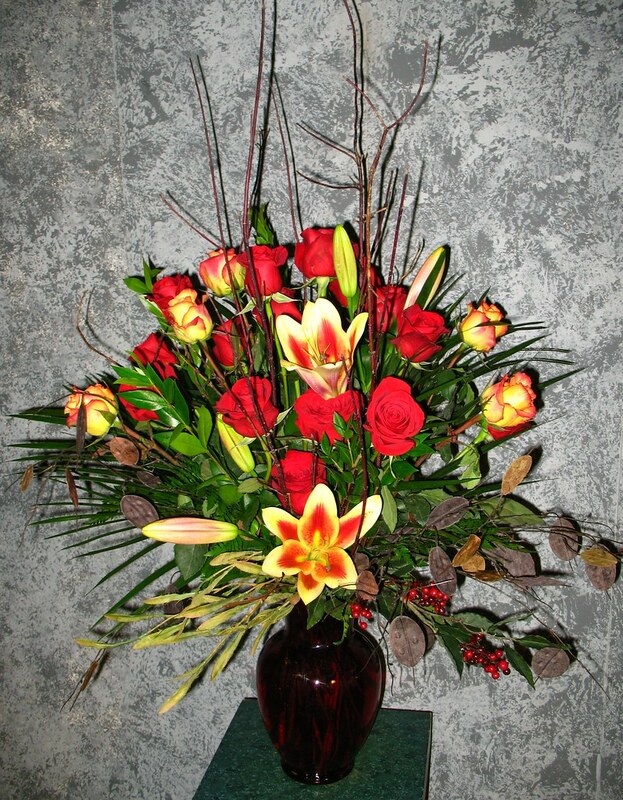 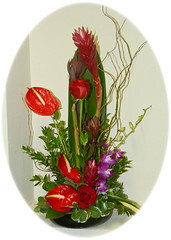 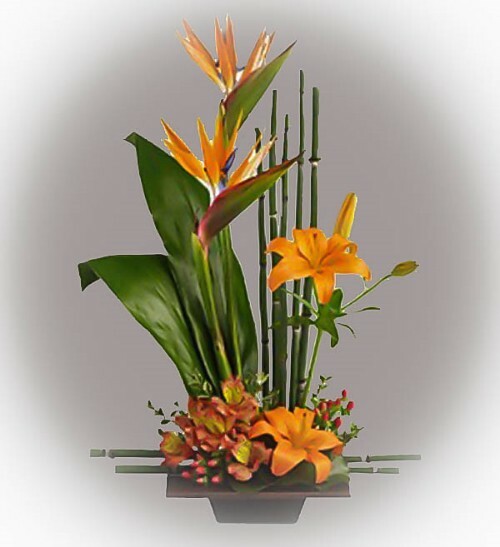 #37ED $125 Tropical Paradise with red roses nestled in this design amongst red anthurium. 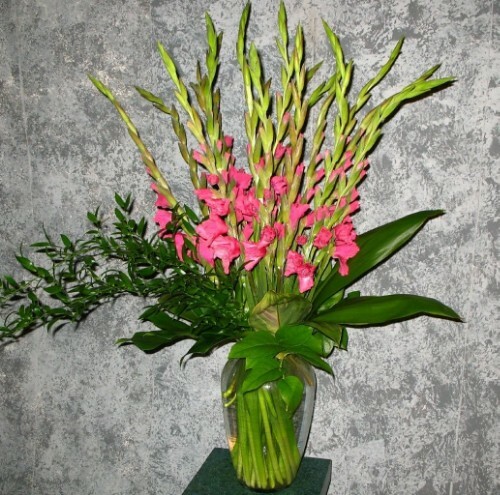 ginger, and dendrobium orchids. 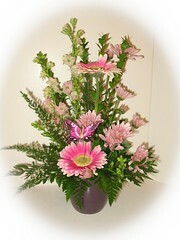 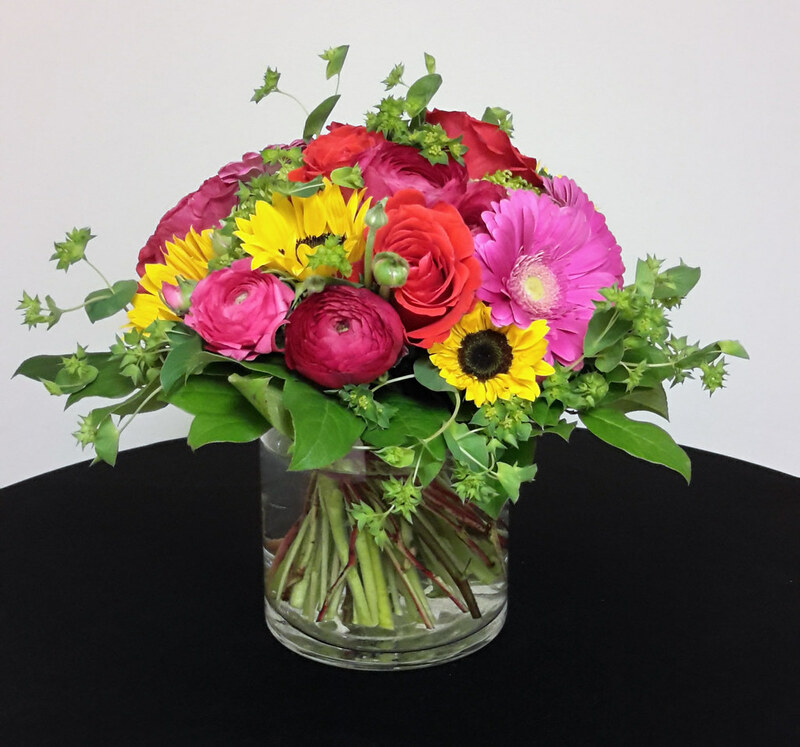 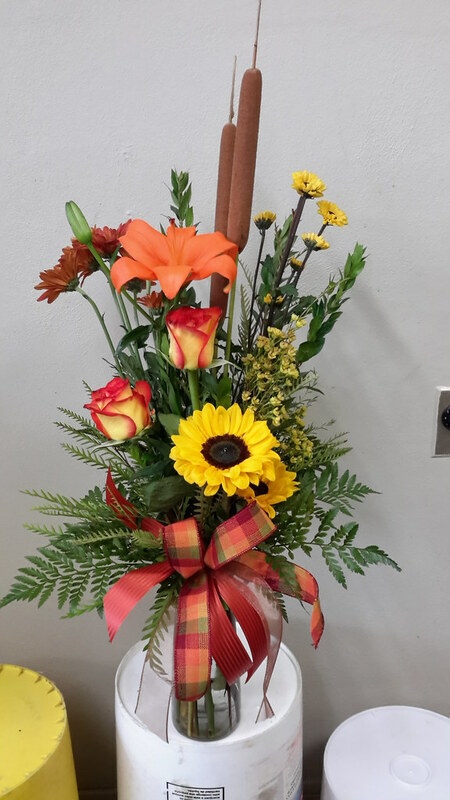 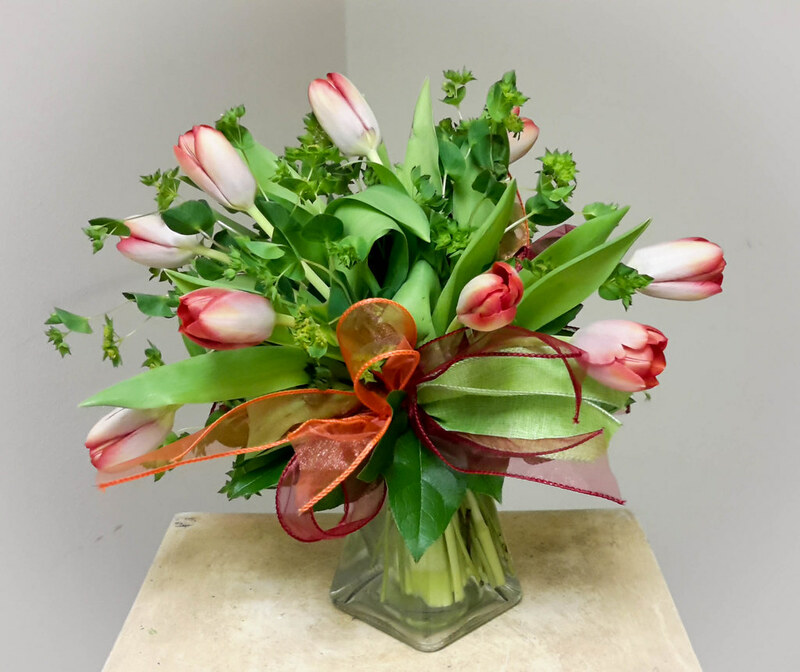 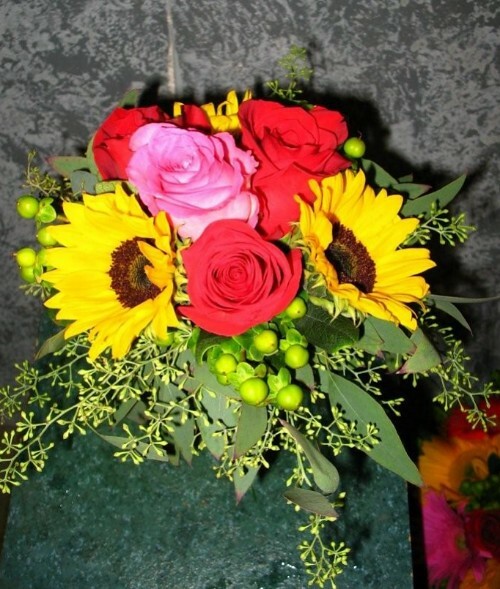 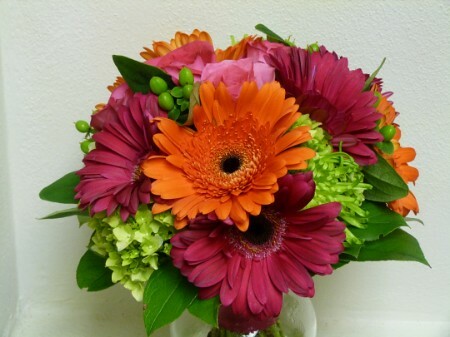 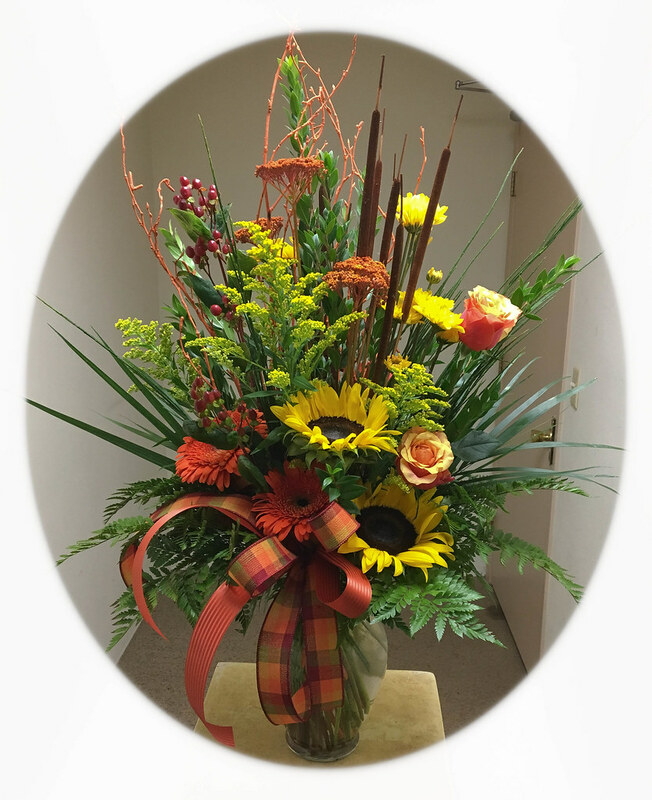 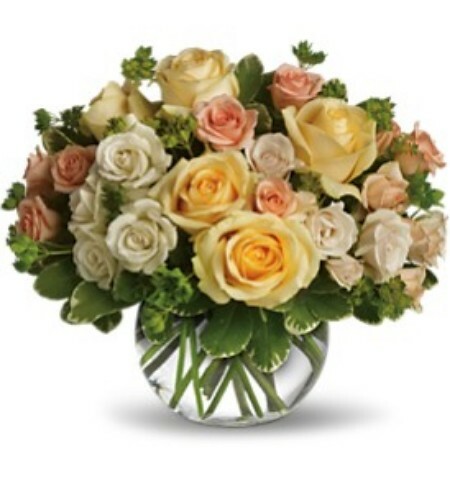 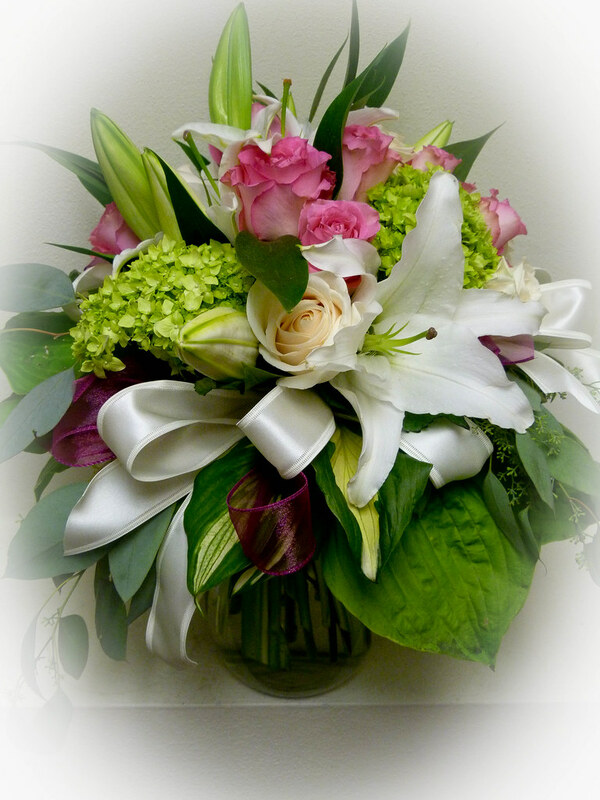 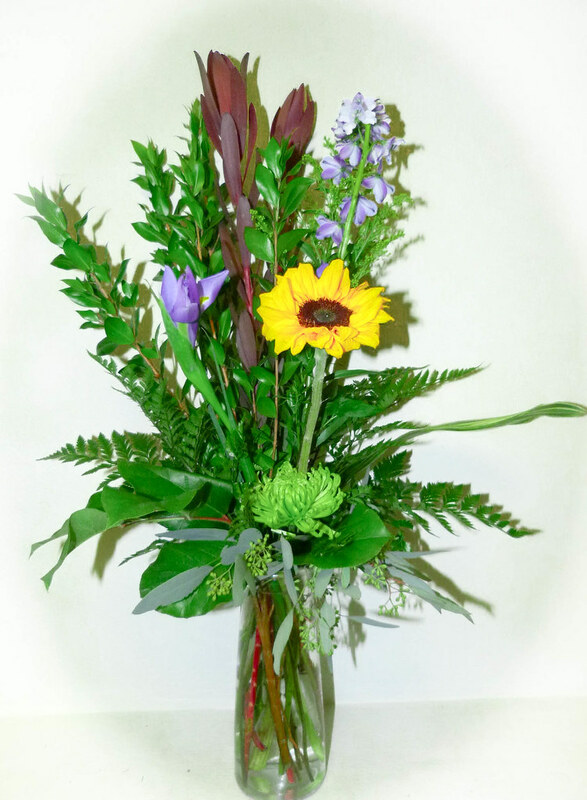 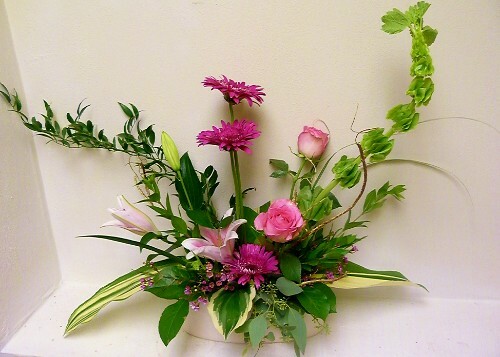 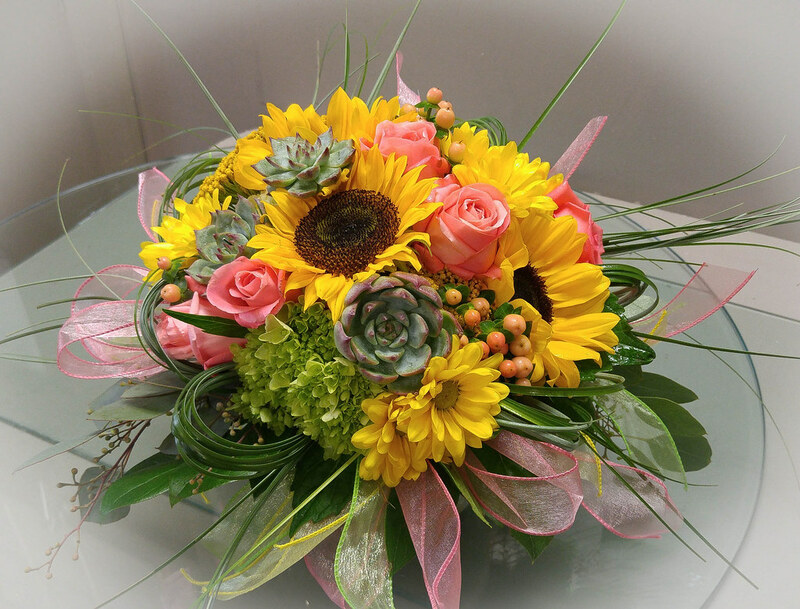 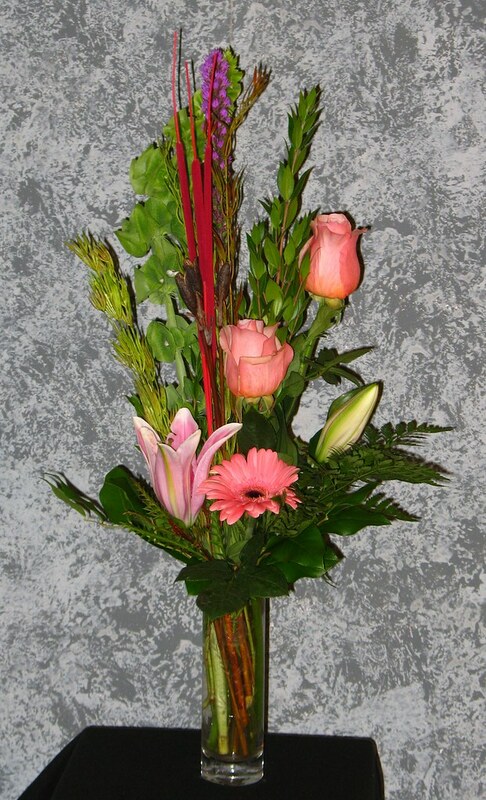 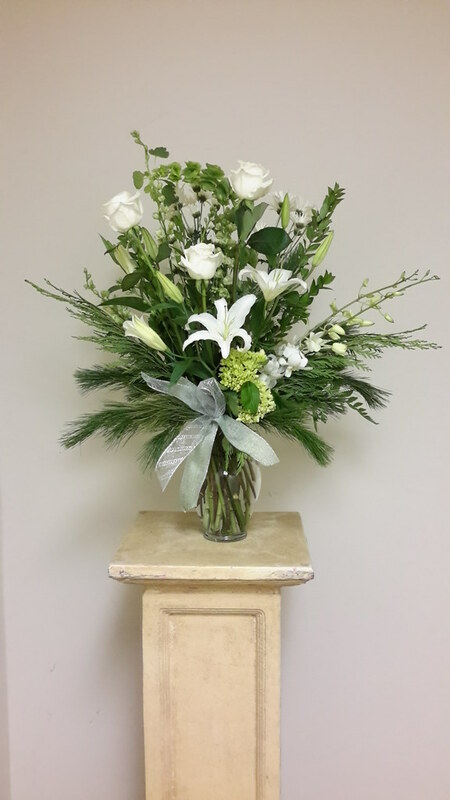 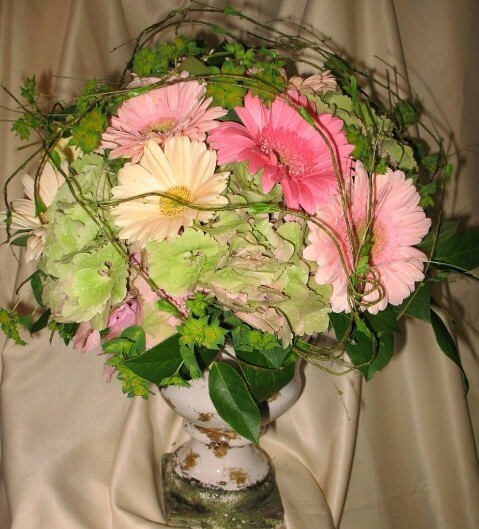 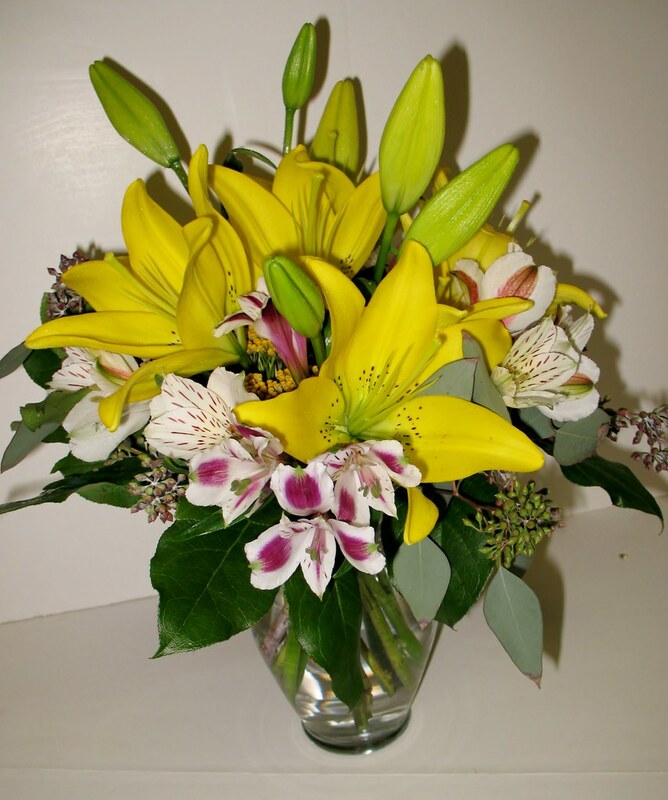 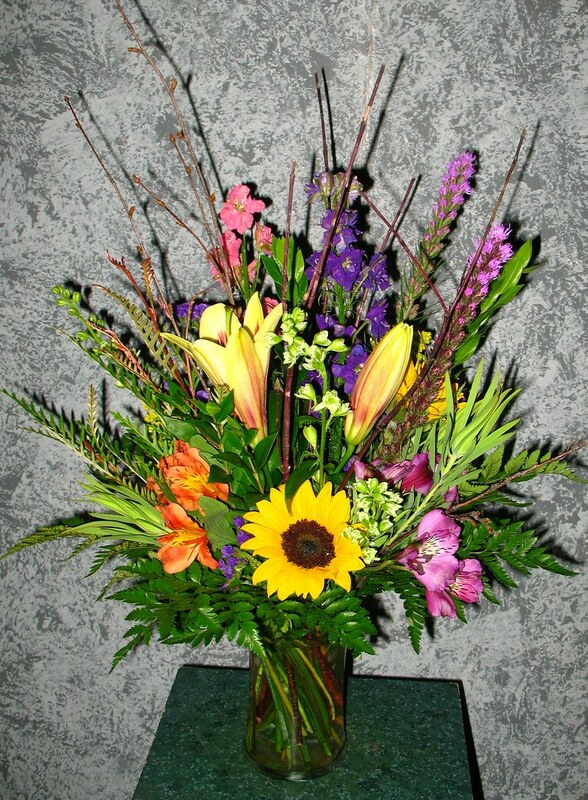 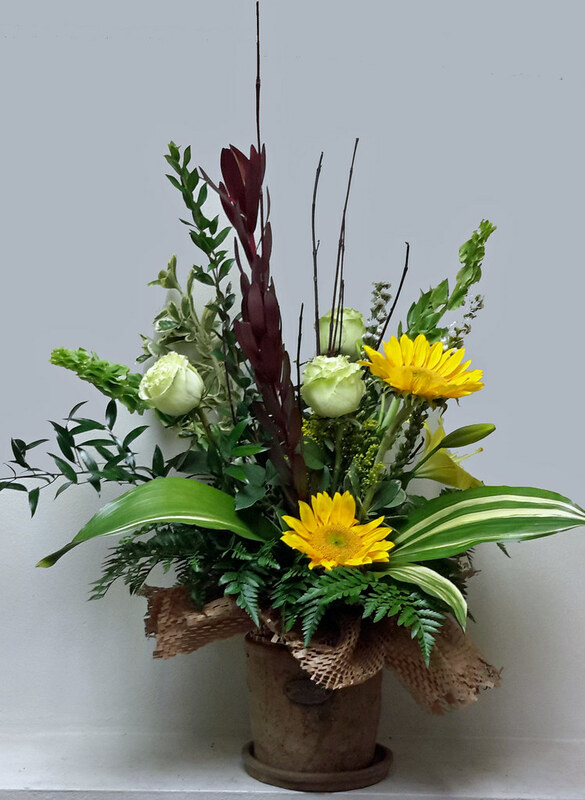 #31ED $85 Stylized arrangement of gerbera daisies, rubrium lilies, roses, ruscus, Bells of Ireland and a variety of foliages.